Come check us out here! You know, I never told you about how we go about sending out orders to our national and international clients. It’s nothing complicated, but I figured highlighting our process is probably a good way of reassuring those of you who may still be a bit weary when ordering online. We’ve shipped to far away sounding places such as Tahiti in the French Polynesian Islands, Moscow, Russia, Singapore, Scotland, and have seen our deliveries arrive safely in Johannesburg, South Africa, Kowloon, Hong Kong, Mitwitz, Germany and South Wales, Australia. One day when I have some down time, I plan to draw a map much like the airline route maps, and trace where all my stationery have landed all over the world. I think it would make for a really nice illustration! 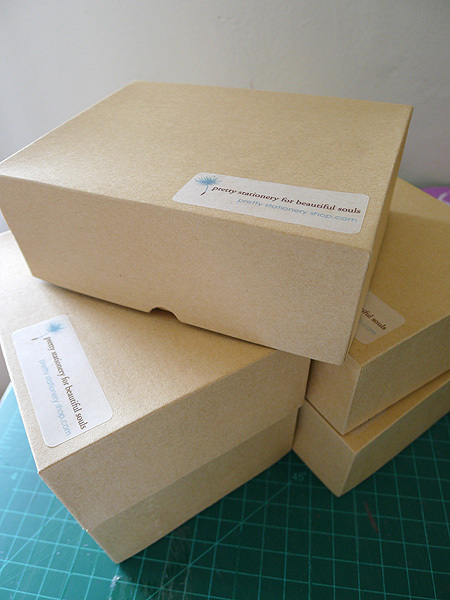 Depending on the size of the items most of your stationery arrives in either a kraft or corrugated box. These boxes withstand the pressures of traveling far, and uh, “handling” by delivery folks. So there you have it. 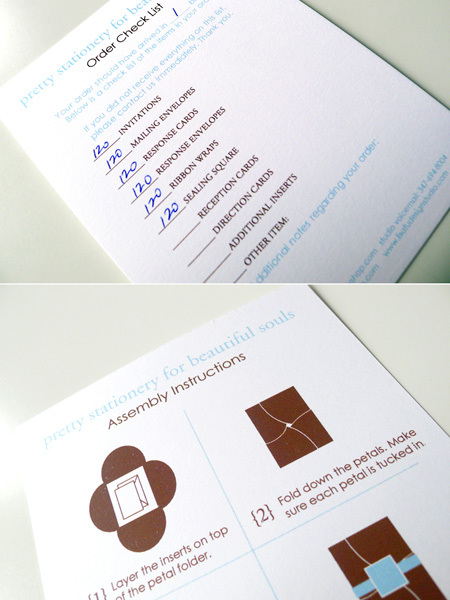 Hope this gives you a better idea of how we pack and ship orders! I need to illustrate more bridges. I love ’em. My wedding clients love ’em, too! I’ve got a bunch of bridges on my bridge list, including the Stone Arch Bridge in MN, and the Ben Franklin Bridge in PA. Any others I should add to the list? 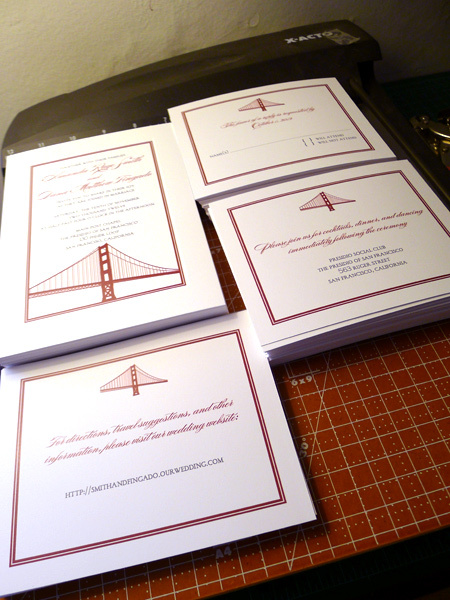 The left is the Asian Inspired Tea Length Wedding Invitation, and the right is a single layer variation of the Brooklyn Bridge Wedding Invitation. 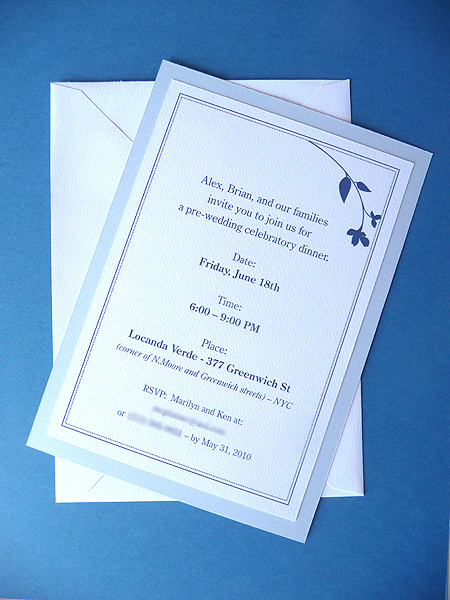 And this is a Sweet Branch Wedding Invitation turned rehearsal dinner invitation. It’s nice to see clients try to repurpose the designs to fit their needs. We’ve had little farms out west order our favor tags for their jam jars, and have changed wedding invitations to quinceaneras, baby showers and surprise birthday parties. Any way it’s repurposed, it’s great that people take the time out to find something that resonates with them, and we’re more than happy to try and accommodate to make someone’s special day even more so! One of the most popular items at the studio are these little personalized favor tags that couples use to put on their guest gifts. 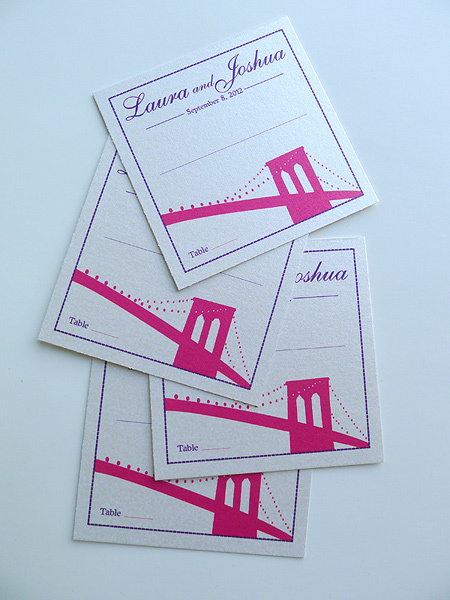 These favor tags are a great way to customize wedding favors or party guest gifts for any special occasion. 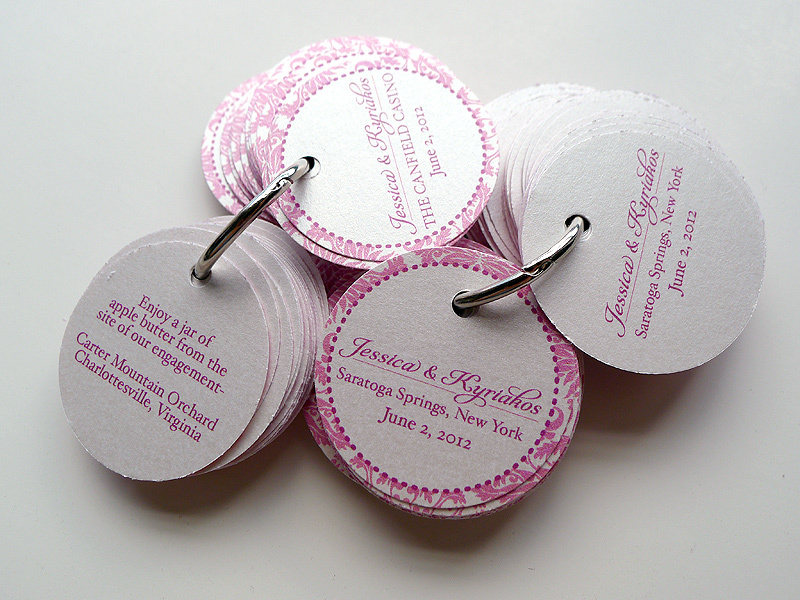 Here are some recent wedding and bridal shower favor tags. This couple is giving away jars of apple butter, and are adding these cute, pink damask tags to the jars, as well as their guest gift bags. 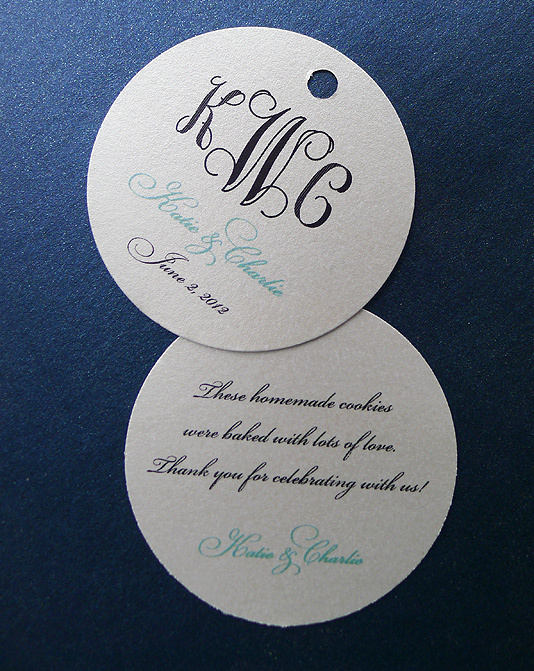 These monogrammed favor tags will be attached to homemade cookies for their guests. 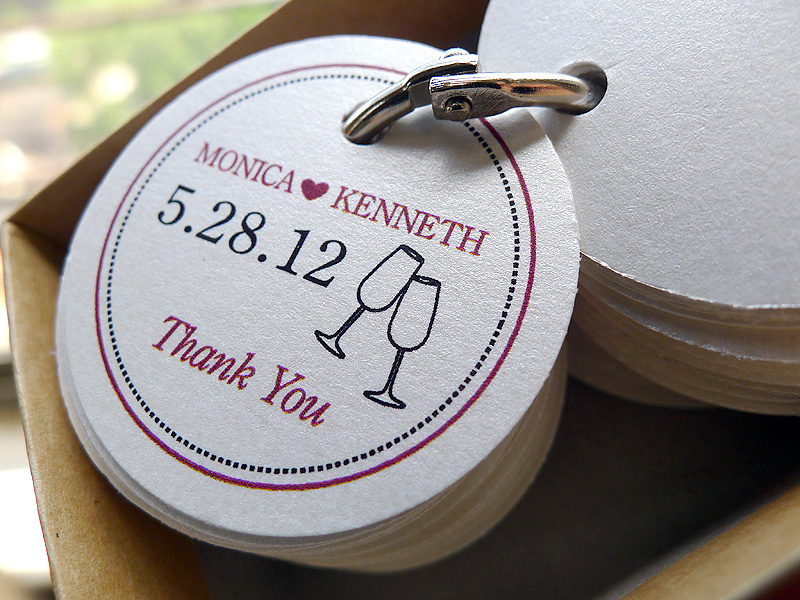 These are wine glass favor tags are popular with wine lovers. 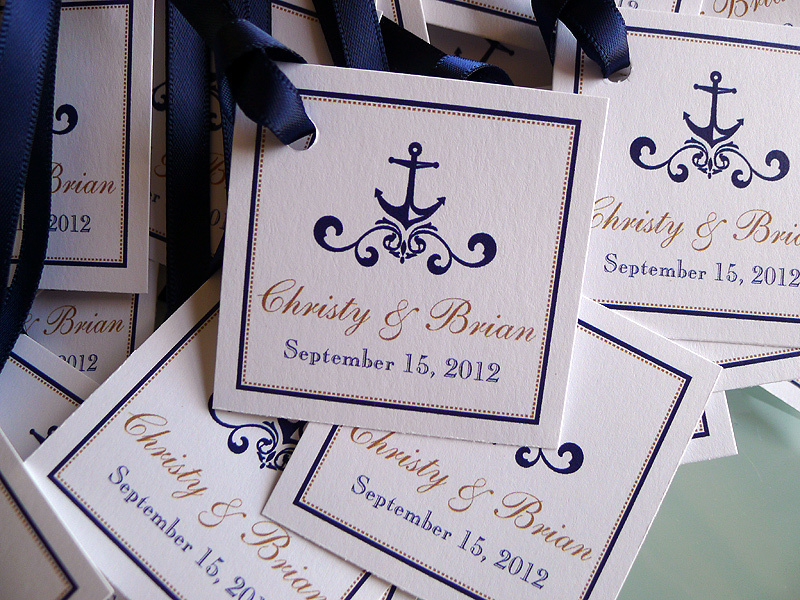 These nautical themed tags are fun and versatile for couples along the coasts, or are getting married on a yacht. 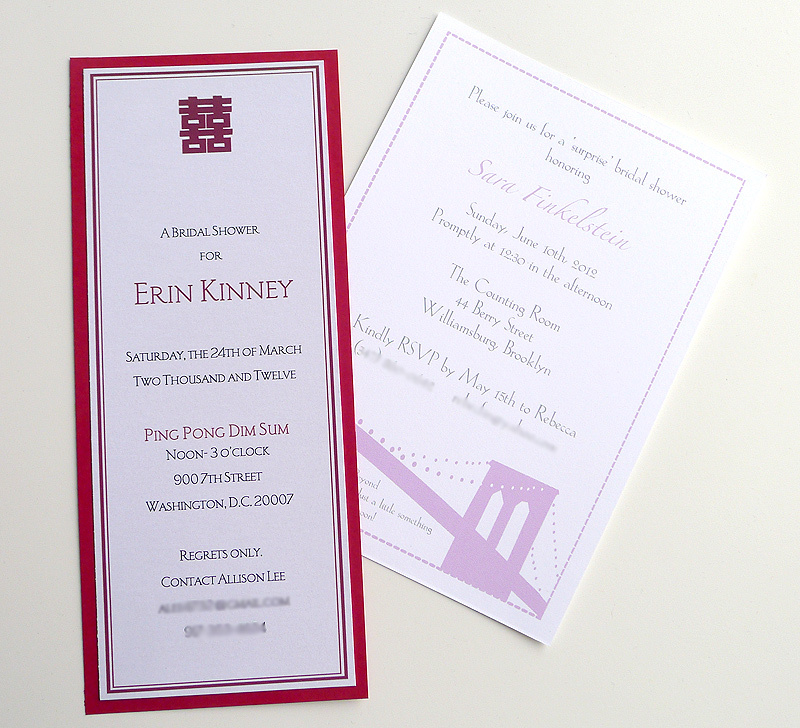 The favor tags are popular for special occasions because for a minimal cost, it adds a fantastic personalized touch of detail for your guests.